How fun is this skirt and the shoes? I love both so much! 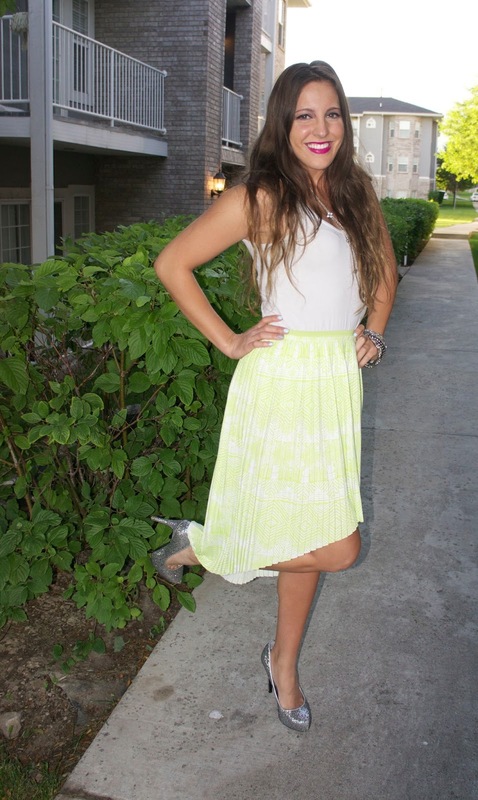 The hi-lo skirts are something I was hesitant about but I am loving it! Especially for the summer I think its super fun to wear! I paired the skirt with these really fun heels that are so fun and glitzy! I thought it really went well with the whole outfit. So this skirt was on sale at American Eagle for only fifteen dollars!! Crazy cheap! Also, I don't usually shop at American Eagle, because I don't really like anything there too much but I thought this skirt was adorable! I love the pleats and the light green color.